My Pool Professor is devoted to teaching and mentoring those individuals with a desire to become more fully competent and/or aware of the importance of properly preparing and maintaining a safe and healthy aquatic environment. Peter Callegary is a Certified Instructor with the National Swimming Pool Foundation® www.nspf.org. He is also a Red Cross Certified instructor in Lifeguarding, Water Safety, CPR, AED and First Aid, as well as in Wilderness and Remote First Aid. 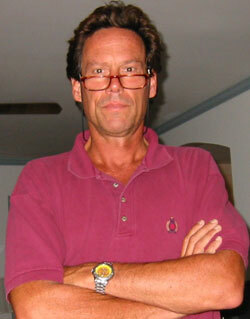 Peter also worked at the Maryland Athletic Club (MAC) as one of their pool operators and lifeguards. His extensive experience in lifeguarding and pool operation and management allows him to be competent in all aspects of pol operation. As an NSPF www.nspf.org certified Advance Service Technician he is familiar with design and the technologies associated with an enormous variety of pools and their maintenance. Prior to working in aquatics, Peter worked as a Maryland trial attorney for 30 years. He was admitted to practice before the various Maryland trial and appellate courts, the Federal courts and the United States Supreme Court. When he retired from law, he was drawn back to his real passion, lifesaving and first aid. His summers have always involved pools and the ocean as he and his family have grown up around the water. Recreationally, it is his first love. He is a member of the United States Lifesaving Association (USLA), Ocean City Beach Patrol Chapter.